For people with chronic illnesses, nutrition is important — but some nutrients present risks for certain patients. Potassium, for example, has many benefits, but can be fatal for people with kidney disease if the level of potassium in their blood spikes. In the United States, there are more than three million patients who are living with hyperkalemia — a condition that refers to having abnormally high blood potassium levels. As the number of people with these diseases is expected to climb, so too are the number of people at risk for hyperkalemia. A survey from the National Kidney Foundation found that 50 percent of chronic kidney disease (CKD) patients — who are at risk for hyperkalemia — said that high potassium was their most important health concern. However, while some respondents were aware of the condition, the same survey found that 80 percent of respondents did not know what their potassium level was. Potassium is an electrolyte that is necessary for the heart to function. In normal cases, the potassium level in a person’s blood is maintained via diet and any excess potassium is removed through the kidneys. However, when the kidneys are not functioning properly, and excess potassium is not removed as normal, this additional potassium can cause abnormal heart rhythms and, in some cases, even sudden death. *Be wary of salt substitutes. While salt substitutes have their appeal, some have very high levels of potassium. Before using such a substitute in meal preparation, it is important to thoroughly read the label. *Various treatment options exist. Doctors can speak with you about potential treatments for hyperkalemia, which include water pills and medicines known as potassium binders. Only your doctor will know the best choice for you. *Avoid supplements and remedies. Many herbal remedies or supplements can actually create more problems because of their high potassium content. Patients should consult their doctor before taking any supplement or remedy to learn more about how it could impact their potassium levels. *Never stop learning. 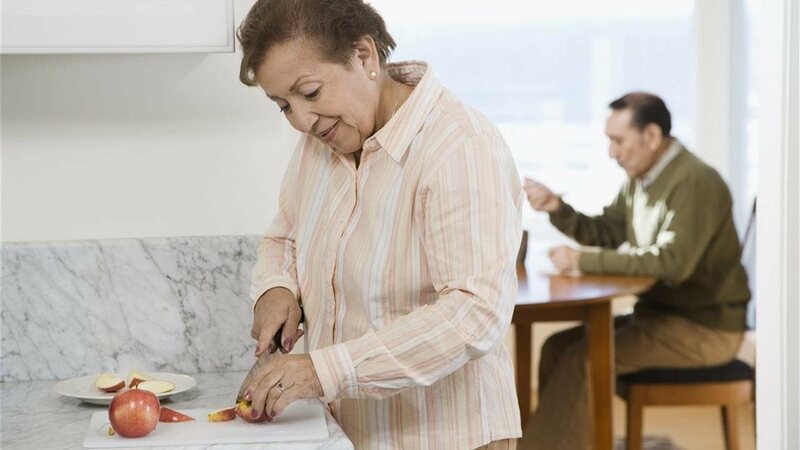 Whether you have lived with hyperkalemia for years, or you're concerned because you have a chronic condition, monitoring potassium levels is an important part of keeping yourself healthy. It's a big task, but fortunately you don't have to face it alone. Healthy choices and consistent communication with healthcare professionals can help you keep track of potassium levels and maintain a healthy life. Be proactive and take charge of your health — talk to your doctor today. The National Kidney Foundation Survey was funded and completed in collaboration with Relypsa Inc., a Vifor Pharma Group company. For patients with hyperkalemia, controlling potassium levels is important. This might require replacing high-potassium foods such as bananas, melons and oranges with low-potassium foods such as apples, grapes and berries. *Impact of salt substitutes. While salt substitutes have their appeal for many reasons, some carry very high levels of potassium. Before using such a substitute in meal preparation, it is important to thoroughly read the label. *Various treatment options exist. Doctors can speak with you about potential treatments including water pills and potassium binders. Only your doctor will know the best choice for you. *Supplements and remedies. Many herbal remedies or supplements could create more problems because of their high potassium content. Patients should consult their healthcare provider before taking any supplement or remedy to learn more about how the solution could impact their potassium levels.